CG PPT 2019 Admit Card is releasing on 3rd May 2019. Chhattisgarh Pre-Polytechnic Test every year administered by the Chhattisgarh Professional Examination Board (CGPEB). It is a state level entrance exam through which candidates can get admission in the state polytechnic government/non-government colleges of Chhattisgarh. The admission will be offered to Engineering Diploma courses. Candidates can get more information on CG PPT 2019 from this article. CG PPT 2019 Admit Card is releasing on 3rd May 2019. Check here for admit card details. 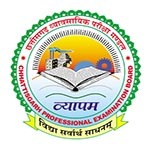 CG PPT 2019 Exam Date has been released. The examination will be conducted on 9th May 2019. Check here for details. We have mentioned here the official CG PPT exam dates 2019. The admit card will be published on the website before one week of the written entrance exam. CG PPT admit card 2019 can be downloaded through online mode. It will be published on 3rd May 2019. Admit card can be accessed by entering the candidate registration ID. Duration of Exam: The exam will be of about 3 hours. Type of Questions: The question paper will be consisting of objective type questions. Total Questions: There will be total 150 questions in the exam. Negative Marking: No provision of negative marking. The authority has provided the complete syllabus for the convenience of the candidates. The syllabus include the physics, chemistry and mathematics subjects. The CG PPT syllabus is comprised of the subjects of class 10th. Candidates can study as per the prescribed syllabus by the authority to score well in the exam. Plan your exam schedule smartly. Allot equal time to all subjects. Study from the books published by the good publishers. Always go through complete syllabus. Question: The CG PPT application form will also be released through offline mode? Answer: No, the application form only available through online mode. Question: What is the last date of submission of application form? Answer: The last date to submit the application form will be 14th April 2019. Question: How will I come to know that my application fee is submitted? Answer: You can check your application fee status in the section of ‘Check Transaction Status’ on the website. Question: How can I pay offline fee? Answer: No, fee payment will be done through online mode. Question: Is there any age limit to apply? Answer: There is 30 year upper age limit to apply. Question: Appearing candidates can apply ? Answer: Yes, those are studying in 10th class can also apply. Question: Who provide the syllabus for CG PPT 2019 exam? Answer: The syllabus has been uploaded on the website by the CGPEB. The CG PPT result 2019 will be downloaded by entering the roll number. The results will be uploaded on the website in the second week of June 2019. The authority will also release the CG PPT answer key through online mode. Candidates can check it after one week of the examination. A separate merit list will be prepared by the authority for providing admission in the various polytechnic institutions within the state. CG PPT counselling 2019 will be organized through online mode. Candidates have to fill their choices for stream and institution in the choice filling process. The seat allotment procedure will be conducted by the Chhattisgarh Professional Examination Board (CGPEB). The online counselling will be started from the last week of June 2019. On the basis of choices filled by the candidates and availability of seats, the seats will be allotted to the candidates. Candidates must bring the original documents for the verification of original documents. The application form is available through online mode. The candidates can start the form filling process from 26th March 2019. The CG PPT application form 2019 can be submitted till 14th April 2019. Candidates have to upload the photograph, put the signature and left hand thumb impression. Candidates are advised to fill the application form carefully. After submitting, no correction will be allowed on later stage. The application fee is Rs. 200/- for general, Rs. 150/- for OBC and Rs. 100/- for SC/ST /PH candidates. Candidates can check here the CG PPT eligibility to appear in the exam. Domicile: Candidates must hold the domicile of Chhattisgarh state. Age Limit: The upper age limit is 30 years for all categories. Qualifying Exam: Candidate pass the 10th Board examination from a recognized board. Minimum Marks: Candidate must secure minimum 35% marks in the matric. Subjects: Candidate must have the mathematics and science as a compulsory subject. If you have any other queries about CG PPT 2019, you can write your queries in the comment box given below. mai (copa)computer opretor and programing assistent ITI passed 2014 me hua hu kya? mujhe polytchnic me benifit milega?